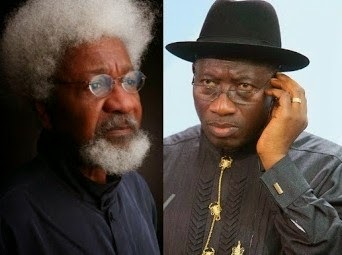 The Presidency on Tuesday replied Prof Wole Soyinka, after he described President Goodluck Jonathan and his many acts of political impunity in recent times as worse than King Nebuchadnezzar, saying he was only playing the ostrich by accusing Jonathan. Senior Special Assistant to the President on Public Affairs, Dr. Doyin Okupe, who reacted on behalf of the President, in a message to Punch, said it was saddening that the Nobel Laureate also failed to caution the likes of Governor Rotimi Amaechi of Rivers State and others in APC who acts lawlessly. The Presidency said, “Our eminent professor also sadly plays the ostrich as he failed to reprimand Governor Amaechi who is the national champion of impunity and official recklessness. “The administration of President Goodluck Jonathan proves itself as the most liberal, keeping faith with adherence to rule of law and tolerance.